Laurie Frink | Flickr - Photo Sharing! Day one of Secret Society's studio recording debut.for Infernal Machines on the New Amsterdam Label. The control room is down the hall, on the right. 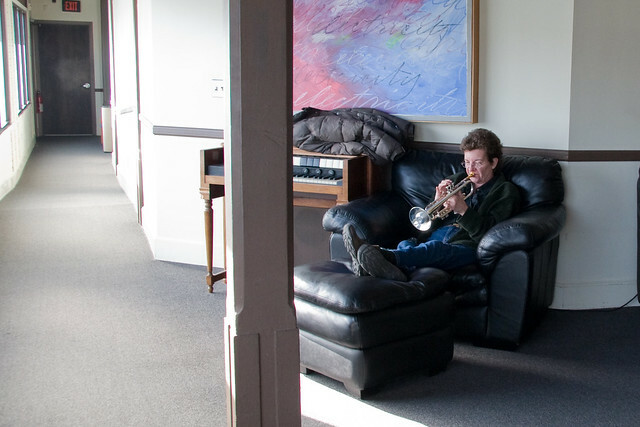 Trumpet player Laurie Frink warming up.